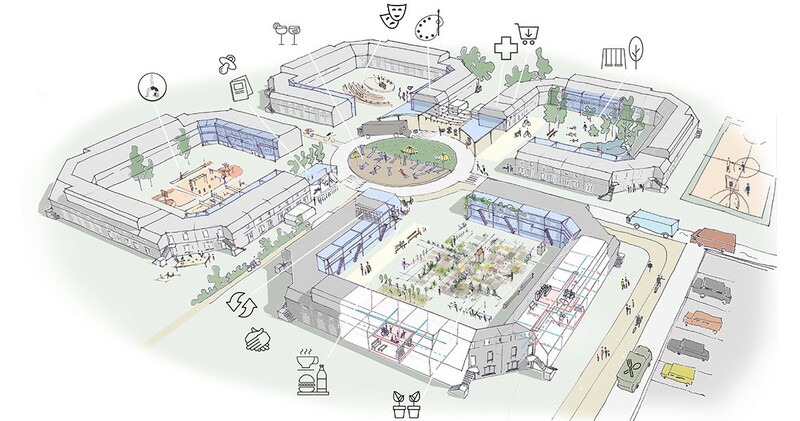 Who Cares was a com­pe­ti­tion on finding a way to make space for innovations on care for aging people and for people with restrictions in the setting of a revival of existing housing quarters going into decline. In our team people from the care sector and data science participated. The goal of our plan was to find a way for elderly peo­ple to live at home for as long as pos­si­ble and for peo­ple with restric­tions to take part in soci­ety. We did research and put together pro­files of the different groups to be able to make a design that would fit their needs. Since 42% of the existing housing stock in the Netherlands is made up out of terraced housing, we realised that there’s a big task in adapting these for the future to make them socially and technically sustainable. In Flevoland terraced housing makes up even 60% of the stock. 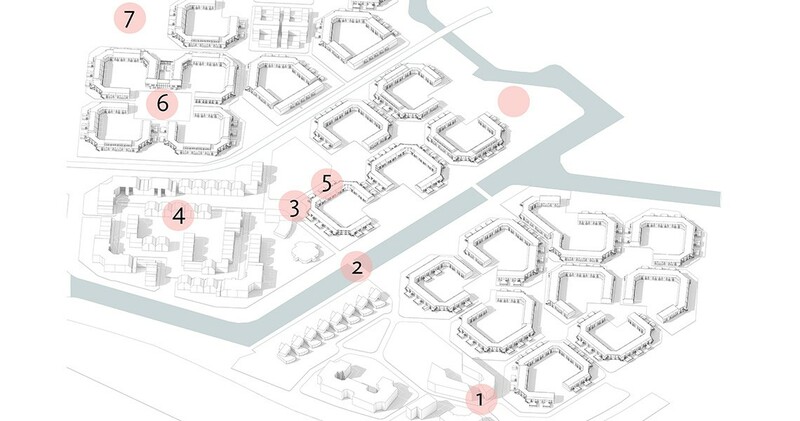 We sent in our plan for Almere Haven, but the con­cept can be applied to any quarter. 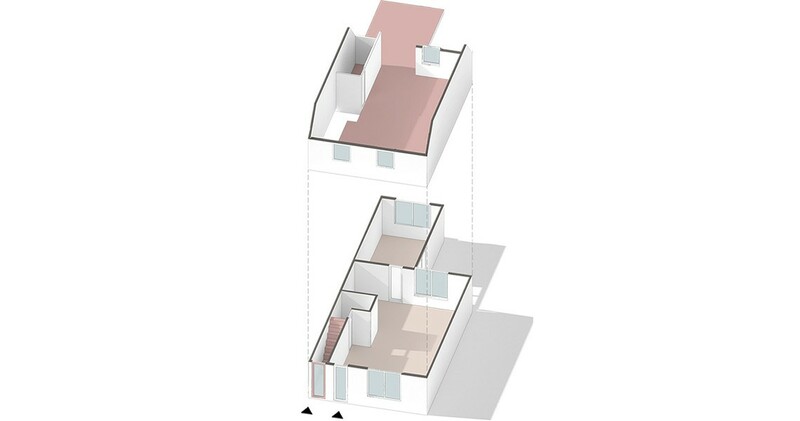 We realised that the making of such a plan has limited means for architectural expression. But the challenge for creative engineering goes beyond. Also the opportunities for improving the urban design are worthy. 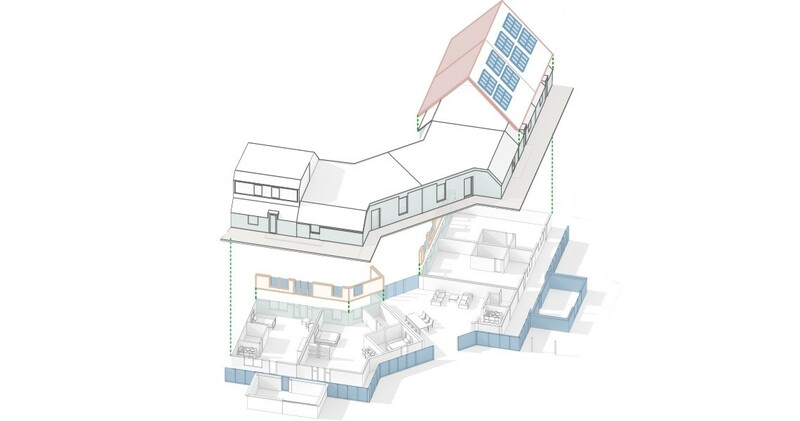 In our plan, the ter­raced houses can be adapted option­ally based on the needs of the future res­i­dents. An elderly couple might want to divide their house horizontally into two sep­arate apart­ments, so they can rent out the upper level to someone else when the time comes that they are no longer able to climb the stairs. 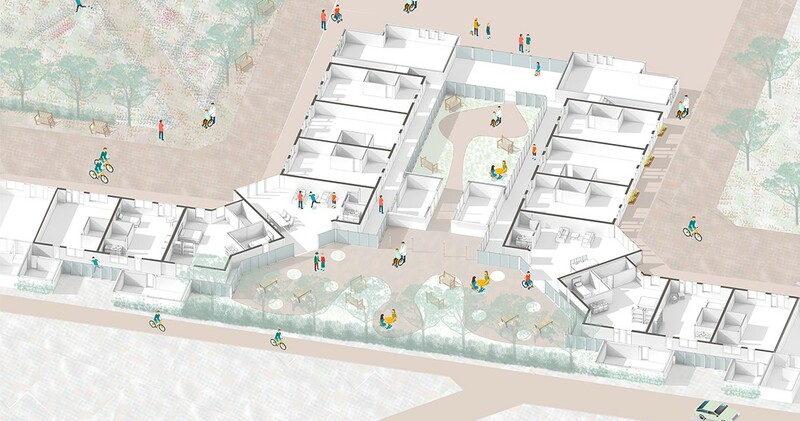 For peo­ple with spe­cific restric­tions, a whole block of ter­raced houses can be trans­formed into a group house with dif­fer­ent stu­dios and care facilities. Fam­i­lies do not nec­es­sar­ily have to make adap­tions to their house, they can just choose to make their house more technically sus­tain­able which will save them money in the long run. Addi­tion­ally to updat­ing the phys­i­cal envi­ron­ment, we also intro­duced a vir­tual envi­ron­ment in our plan: an ICT sys­tem called Wijk­Care. The sys­tem stim­u­lates and acti­vates dif­fer­ent care groups, by pro­vid­ing them with ways to do more tasks by them­selves. The big data analyses and selflearning processing forecast future health problems. With this precautions can be provided for by the care provider. Emergency signaling is built in too. It provides an easy way to communicate with care providers. Wijk­care also makes it eas­ier for care groups to seek con­tact with fam­ily, friend or nurse. Com­mu­ni­ca­tion, acti­va­tion, signaling.